I love learning about nutrition and how important it is for our kid’s health. This 5 Superfoods Kids Should Eat To Stay Super Healthy post contains lots of information and great recipe ideas. Su-per-food.- A nutrient-rich food considered to be especially beneficial for health and well-being. Remember that “you are what you eat” and what we put into our bodies clearly does have an impact on our health and overall well-being. I believe kids deserve real food. Stay away from processed foods, artificial ingredients, and unnecessary and harmful added sugars. Give your kids healthy options and incorporate superfoods that will keep them healthy and strong. Starting a healthy lifestyle during childhood can have long-term advantages, according to the American Psychological Association. Following healthy habits during the formative years of childhood makes it more likely that your youngster will hold onto these habits throughout life. You can read more about it HERE. Children have important daily dietary needs to support continued growth and physical development. Foods that contain vitamins, minerals, complex carbohydrates and protein will provide the nutrients necessary for growth and development. The American Academy of Pediatrics recommends that children eat at least five fruits and vegetables each day. There are good supplements in the market that contain many vitamins and nutrients but as with everything in nature, our bodies absorb and utilize real foods much better and more efficiently than synthetic products. Give your kids healthy foods and teach them healthy eating habits. You will give them the most precious gift life can offer: good health. Oatmeal is a staple food in the Western culture and is considered as one of the healthiest choices available. The nutritional information of oatmeal reveals its many health benefits for your children. Improves brain power.- A study conducted by Tufts University had one group of children who consumed oatmeal for breakfast while another group ate Cap’n Crunch cereal. The two groups were then provided with academic tasks, which include memorizing the names of countries on a map. The result of the study showed that children who consumed oatmeal were 20 percent better than the Crunch consumers. Prevents the onset of chronic conditions.- Oatmeal has a lower glycemic index compared to other grains. A low glycemic diet is an effective way to manage pediatric obesity, prevents the risk of juvenile diabetes and heart diseases. Boosts the immune system.- Many experts claim that the beta-glucans in oats, a carbohydrate derived from the cell walls of oat, aids in improving the immune system. Also, the fiber and a reasonable amount of protein in oats help reduce the risk of asthma in children when introduced in their early stages. 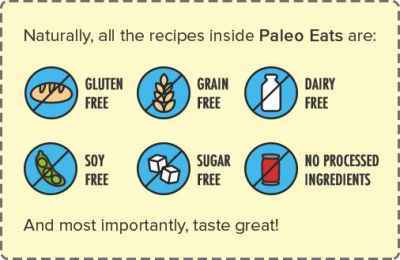 Stay away from highly processed oatmeals and choose rolled oats (minimally processed). You can make 15 Minute Banana Oatmeal Pancakes or Easy 3 Ingredient Banana Bread Cookies and give your kids the wonderful benefits of eating oatmeal. 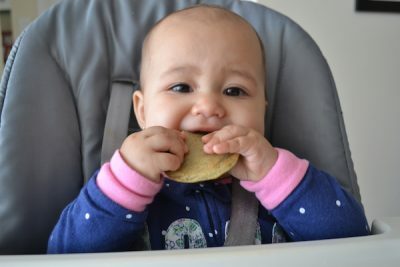 My one year old daughter loves her homemade pancakes for breakfast. Goji berries have more vitamin C than oranges, higher iron than spinach, more vitamin E than most fruits, and more protein than whole meat. In addition, they contain an overflowing amount of polysaccharides, antioxidants, and amino acids. Promotes healthy eyesight: The beta-carotene and zeaxanthin in goji berries help protect the retina of the eye by absorbing blue light and acting as an antioxidant. Goji berries are small berries typically found in the Himalayas, Tibet and China. After harvesting, the berries are then dried to preserve its nutritional content. You can find raw and organic Goji Berries online or at a health store. Make delicious goji berry teas, pure goji berry juice, goji berry crunch bars, or trail mixes. 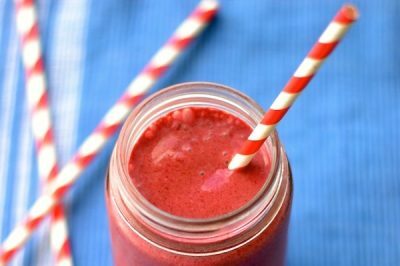 Or simply add some goji berries to your favorite smoothie blends. You can learn more about how to make the best smoothies for kids with an easy tutorial HERE. It is a fact that children love chocolate. However, you need to think twice before actually reaching for that chocolate bar. Most chocolates sold at supermarkets are unfortunately not real chocolate. You can find organic cacao powder , which is not the roasted and processed kind, and offers some serious health benefits. Use it to make homemade treats your kids will love. Heart’s health. Raw cacao is rich in flavonoids such as catechin, epicathechin, and procyanidins that are widely known to promote cardiovascular health, lower bad cholesterol, reduce inflammation, lower insulin resistance, and prevent blood clots. Cancer prevention. Of the many flavonoids in cacao, two in particular, epicatechin and quercetin, are believed to be responsible for the cancer-fighting properties. Eating real chocolate helps prevent cancer! Try one of my favorite recipes, DIY 3 Ingredient Real Chocolate Recipe or Make Your Own Healthy Real Chocolate Milk and avoid the laundry list of artificial ingredients in store-bought chocolate powders or syrups. 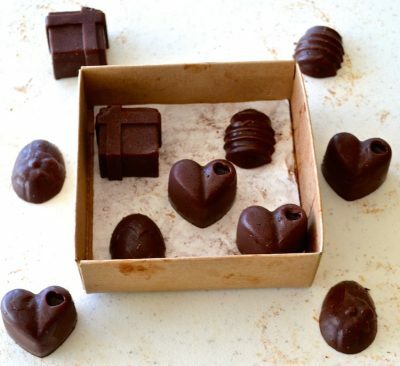 At home we love our homemade chocolates. They are so easy to make with only 3 healthy ingredients! Blueberries have long been known for its high levels of antioxidants. 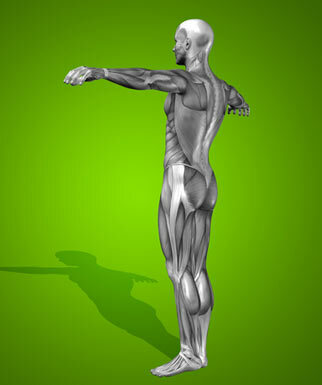 They are full of nutrients that are essential in the development of a healthy mind and body. It contains vitamin A, C, E, B complex and minerals such as copper, selenium, zinc, and iron. Boost up the immune system. The antioxidant along with other vitamins provides a boost of immunity to the human body. This means you won’t easily catch colds, flu, fever, pox, and various viral and bacterial infections. Anti-inflammatory. 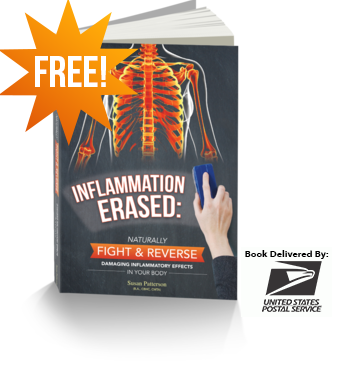 Inflammation is a body’s natural response to protect you from infection, diseases, or other substances. 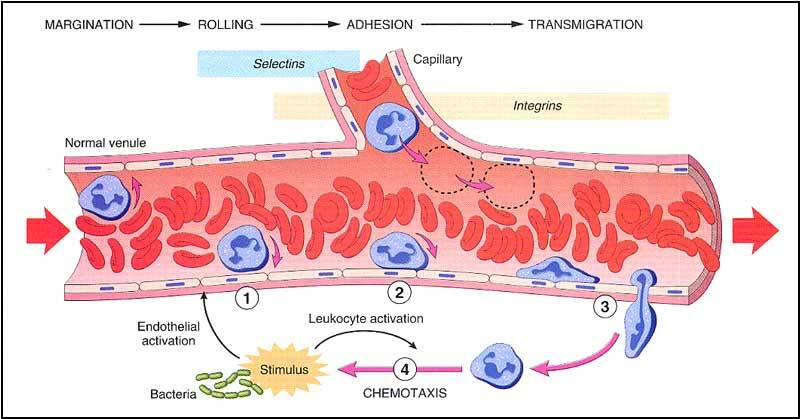 But chronic inflammation has been linked to various diseases including cancer, heart diseases, diabetes, and arthritis. Aside from its antioxidants, blueberries are also rich in anti-inflammatory compounds, both of which work together as a powerful disease-busting team. 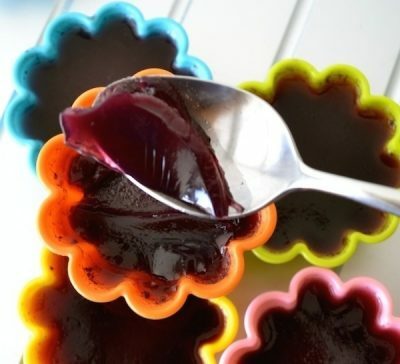 I have some wonderful recipes if your kids don’t eat plain blueberries, like my Easy Homemade Nourishing Blueberry Gelatin or Frozen Blueberries With Greek Yogurt ideas. You can even learn How To Grow Your Own Organic Blueberries with my easy tutorial. Unlike other raw foods, avocado is a food kids willingly eat. 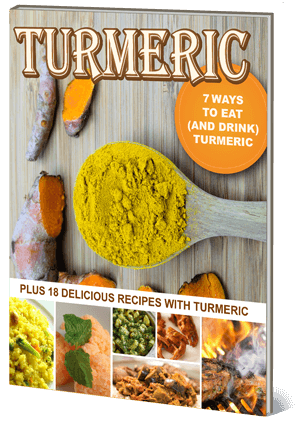 This superfood is packed full of vitamins and minerals that are essential to the body. Rich in healthy fats, monounsaturated fats that are particularly important for growing kids. Avocados contain fiber to keep a healthy digestive system. Kids are prone to constipation, so they can really benefit from the nutrients of avocados. They have a great amount of vitamin K that helps in blood clotting, and provide 14.8 percent of the recommended daily value of folate. Avocados also contain vitamin E, which supports healthy red blood cells, skin and hair. Avocados are high in vitamin C and B6. They contain potassium that plays a vital role in growth and muscle building. Avocados are so wonderful and also the perfect food for babies starting on solid foods. 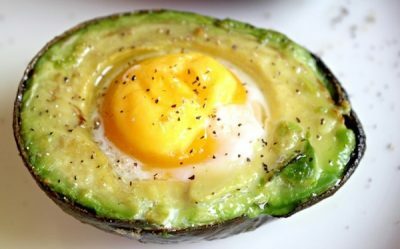 Please see Spaghetti Squash And Raw Pesto Avocado Sauce or Best Breakfast Baked Avocado Eggs Recipe. Easy to make recipes that my kids really enjoy. I hope you enjoyed reading my 5 Superfoods Kids Should Eat To Stay Super Healthy post. If you are interested in reading more about my blog, please take a look at my latest articles. I am a mom blogger who loves to share creative and healthy fun food ideas.